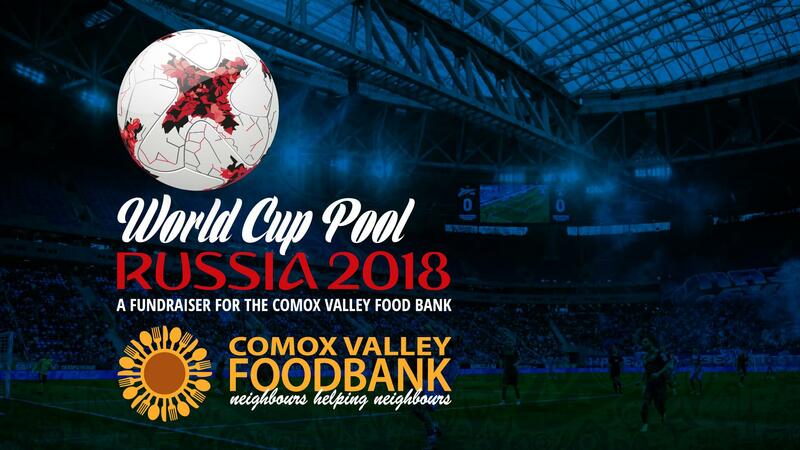 Our great friends at Sure Courtenay Copy Centre are hosting their third World Cup Soccer Pool as a fundraiser for the Comox Valley Foodbank and Pod Creative is proud to be a sponsor. In order to participate, you will be asked to make a $5 donation online to register. 100% of the funds donated will be issued directly to the Comox Valley Foodbank at the end of the campaign. Please join in on the fun an share with your friends, family and colleagues. The World Cup Starts June 15th! Will you join us and have a chance to win great prizes and support the Food Bank?